Early Readers are stepping stones from picture books to reading books. A blue Early Reader is perfect for sharing and reading together. 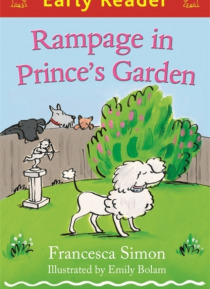 A red Early Reader is the next step on your reading journey.Prince the poodle is away, leaving his secret garden free for the rest of the Buffin Street Gang to explore. After all, he'll never even know they've been there . . . will he?